Bahrain’s financial sector is well developed and diversified, consisting of a wide range of conventional and Islamic financial institutions and markets,2 all of which are subject to a sophisticated legal and regulatory framework. Bahrain (through the Central Bank of Bahrain (CBB)) has one of the most comprehensive regulatory regimes for regulating shariah-compliant activities in the world. Oman and Pakistan are close competitors, though Malaysia is generally regarded as having the most comprehensive. The difference is that Oman and Pakistan both have separate legislation to deal with sukuk issuances (as does Jordan), but other legislation in those jurisdictions either does not fully cater to non-commercial banking and capital markets activities or is quite nascent. The CBB’s legislative model differs from Oman and Pakistan in that it is less prescriptive and allows financial and other institutions to align their businesses with rapidly fluctuating global trends. This means the CBB maintains an open dialogue with all its licensees and regularly seeks their (and other market participants’ input) on legislative updates and further regulation. This is one of the features that distinguish CBB’s approach to regulation from the rest of the regulators in the Gulf Cooperation Council (GCC). Persons wishing to undertake regulated Islamic banking services must be licensed by the CBB as an Islamic bank licensee. Regulated Islamic banking services consist of three determinant activities: (1) accepting shariah money placements or deposits; (2) managing shariah profit-sharing investment accounts; and (3) offering shariah financing contracts. If an institution has the requisite licence, it may be able to offer all three regulated activities alongside various supplementary activities. Islamic bank licensees must operate in compliance with shariah economic principles and only Islamic bank licensees may hold themselves out to be fully shariah-compliant institutions. Ultimately, it is the type of licence issued by the regulator that determines whether an institution is shariah-compliant. Every individual Islamic bank in Bahrain has its own internal shariah board, which determines the shariah compliance of its products. In June 2017, there were 111 institutions registered in the banking sector of which 24 were Islamic banks licensed by the CBB. The CBB does not interfere with this internal process but is usually very helpful, and facilitates in discussions about new ideas and concepts. The CBB must approve new products before they can be offered to customers. The banks also need to inform their customers of associated risks and any unusual product features if the capital is not protected. If the capital is protected then the banks must inform the customers that there is a chance that the actual return may be lower than the anticipated or projected return. Islamic bank licensees are divided into two subcategories: Islamic retail banks and Islamic wholesale banks. Specific regulatory requirements may differ between these two subcategories where appropriate to address their risk profiles. Islamic retail banks may undertake transactions in any currency, with both Bahraini residents and non-residents. 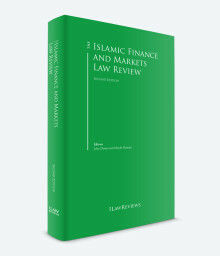 To qualify as an Islamic retail bank, the activity of offering shariah financing contracts must account for a significant portion of the institution’s business. This is defined, broadly, as accounting for over 20 per cent of an institution’s assets. Islamic wholesale banks may also undertake transactions without restriction when dealing with the government of Bahrain and its agencies, CBB bank licensees and non-residents. However, they may only undertake transactions denominated in Bahraini dinars or with a resident of the Kingdom of Bahrain if these transactions are to be wholesale in nature. Wholesale transactions are defined in terms of transaction size (broadly, 7 million Bahraini dinars or more for the activities of accepting shariah money placements or deposits and offering shariah financing contracts, and US$100,000 or more for any of the other activities falling within the definition of regulated Islamic banking services). Islamic wholesale banks are allowed to transact in Bahraini dinars (or any other currency) for any amount with the government of Bahrain, Bahrain public sector entities (as defined in the guidelines for completion of the PIRI Form) and CBB bank licensees. Islamic wholesale banks may also transact in Bahraini dinars for any amount (where required) to fund their normal operating expenses when investing for their own account in securities listed on a licensed exchange. Islamic bank licensees are subject to certain licensing conditions. These licensing conditions are consistent with international good practice, such as the relevant Basel Committee and IFSB (Islamic Financial Services Board) standards. Islamic bank licensees must satisfy the CBB that their controllers are suitable and pose no undue risks to the licensee. There are also certain procedures, as set out in Articles 52 to 56 of the Central Bank of Bahrain and the Financial Institutions Law (Decree No. 64 of 2006) (the CBB Law) on controllers. Licensees and their controllers must also observe the CBB’s capital markets requirements in respect of changes in holdings of shares of listed companies. There are differing requirements for locally incorporated licensees (Bahraini Islamic bank licensees) and branches of foreign banks (overseas Islamic bank licensees). Requirements for overseas Islamic bank licensees are less onerous than those for Bahraini Islamic bank licensees. e receiving application forms for processing or checking and onward transmission other than in connection with the OFS Module, the CBB Rulebook Volume 6 (Capital Markets) and the CBB Rulebook Volume 7 (Collective Investment Undertakings). Islamic bank licensees must maintain a minimum daily cash reserve balance with the CBB, set as a ratio of their total non-bank Bahraini dinar funds, whether placed by way of call or unrestricted investment accounts (or similar), as well as taken through the issuance of Bahraini dinar-denominated Islamic investment certificates. The current required ratio is 5 per cent and may be varied by the CBB at its discretion. Islamic bank licensees must arrange for their external auditor to confirm the accuracy of the data reported on the eligible accounts report for the deposits or unrestricted investment account protection funds. Conventional banks and shariah-complaint banks (referred to collectively as licensees) are both regulated by the CBB; however, the rules for each differ. The Accounting and Auditing Organization for Islamic Financial Institutions’ (AAOIFI) accounting standards are compulsory for all Islamic banks and for conventional banks if they are maintaining Islamic units. The CBB’s supervision of licensees is a mixture of on-site assessment (including the quality of systems and controls, and of books and records) and off-site supervision (which focuses on the analysis of regulatory returns, as well as of audited financial statements and other relevant public information). The CBB has plans to strengthen its supervisory role by implementing a shariah board of scholars to oversee Islamic banks. On-site examinations are undertaken by the CBB’s own examiners, as well as by experts appointed for the purpose by the CBB (such as accountants and actuaries). Off-site supervision also includes regular prudential meetings with licensees to review performance, strategy and compliance matters (such as capital adequacy, large exposures and liquidity). For banks, a risk profiling system has been developed to underpin the above supervisory efforts, by providing a detailed framework for assessing the impact and risk profile of individual licensees, and prioritising subsequent supervisory efforts. Work is under way to extend this profiling system to insurance companies. Should a licensee fail to satisfy the CBB’s regulatory requirements, then the measures outlined in the enforcement modules of the applicable volumes of the rule book may be applied. Enforcement measures include formal warnings, directions (e.g., to cease or desist from an activity), formal requests for information, adverse fit and proper findings, financial penalties or investigations. Extreme violations of the CBB’s regulatory requirements may entail cancellation of a licence, putting into administration or criminal sanctions. A mudarabah savings account is based on the shariah principle of ‘unrestricted mudarabah’. Under the mudarabah principle the customer will act as a capital provider and the bank will act as a mudarib (entrepreneur) using its expertise. The bank pools all customer funds with its own capital and invests it in shariah-compliant modes of investments. The resulting profit is shared between the bank and customers according to predetermined ratios. Mudarabah is a profit-and-loss sharing product and the better the bank performs, the higher the profits earned. Term investment deposit is based on the shariah principle of ‘unrestricted mudarabah’. Under the mudarabah principle the customer is an investor (rab al maal) for a fixed period and the bank will act as a mudarib (entrepreneur) using its expertise. The bank pools all customer funds with its own capital and invests it in shariah-compliant investments for a specified investment term and expected profit rate. The resulting profit is shared between the bank and customers according to predetermined mutually agreed ratios. An izdihar account is a savings account based on the Islamic principle of ‘unrestricted mudarabah’, which means customers can earn profit on their savings. Funds are placed in a common investment pool where they are invested in strict compliance with shariah principles to generate the best possible returns. Profits generated from the investments are shared between the bank and the customers according to a pre-agreed profit sharing ratio. The current account is based on the Islamic contract of qard hasan (interest-free loan). You as a depositor will be the lender and the bank will be the borrower. The deposited funds are invested in halal activities only. Irrespective of the profit or loss generated by the bank from the investments, the funds are guaranteed payable on demand without any profit or penalty. Wakalah investment is based on the Islamic concept of wakalah istithmar, under which you become the principal (muwakkil) and the bank becomes the investment agent (wakeel) of your funds. The bank invests these funds in shariah-compliant financing and investment activities. The targeted profit earned from the investments is distributed to the customers upon maturity of the account. The bank (as wakeel) deducts its agreed agency fee (wakalah fee) and, at maturity, pays both the targeted profit amount and the principal funds to the customers as per the terms of the wakalah agreement. In Bahrain and from Bahrain private equity funds, whether they are to be established in a shariah-compliant way or generally established as a conventional fund, no particular structure is used. Common structures would be Cayman Islands exempt limited partnerships (if in the form of a partnership or a Cayman Islands exempt corporate fund). The investment may also be set up in Bahrain as a private investment undertaking. This is a flexible type of fund that only needs to be registered with the CBB rather than be approved by the CBB, and that has very limited restrictions on its ability to invest, although there are very high thresholds on the type of investor and the minimum investor amount in respect of investing in such a fund. In general any fund that is to be shariah-compliant would have to obtain a fatwa and make its investments in shariah-compliant products and in compliance with the various tenets of shariah. In respect of real estate funds, no particular structure is used and the same considerations in respect of a conventional fund would be taken in establishing a shariah-compliant real estate fund. The common structures are offshore limited partnerships and companies, locally domiciled funds and, more recently, real estate investment trusts. In Bahrain a law was recently introduced to enable the establishment and listing of real estate investment trusts, known as a Bahrain real estate investment trust (BREIT). BREITs can be established as either an expert collective investment undertaking (CIU) or an exempt CIU. Expert CIUs may be offered only to expert investors, who must deposit a minimum of US$10,000. Exempt CIUs are lightly regulated but may only be offered to accredited investors who invest at least US$100,000. BREITs are gaining more attention in Bahrain though very few have been launched to date. GCC nationals and wholly owned GCC entities may own land in Bahrain on a freehold basis. A non-Bahraini person or legal entity can own real estate or land in certain designated areas where foreign ownership is permissible. Investment funds are generally established in Bahrain as companies, partnerships or trusts. No particular type of fund structure is used to enable it to be shariah-compliant. A common structure used when the fund is to be marketed to retail investors would be a shariah-compliant expert fund. This type of fund requires a minimum investment of US$10,000 and can only be offered to investors who already hold financial assets of at least US$100,000. Expert funds can be leveraged by borrowing up to a limit of 20 per cent of the value of assets under management. A further example of a type of investment fund used in Bahrain is a shariah-compliant exempt fund. This can only be marketed to accredited investors (who already hold assets worth US$1 million) and the minimum investment amount is US$100,000. This type of fund is lightly regulated. Bahrain has recently passed the Investment Partnership Law and in doing so is the first country in the GCC region to have introduced national legislation enabling the formation of limited partnerships in a manner comparable to structures utilised in reputable offshore fund domiciles. Key features of the new law include the ability for a general partner of a Bahrain investment limited partnership to be established as a subsidiary or an SPV (special purpose vehicle) of an investment business. This would allow sponsors not to be unduly exposed in terms of liability and while using one of the preferred and widely recognised international models for private equity funds. The new law also aims to make Bahrain a more attractive market for investors by setting a high liability standard in respect of general partners. Another new law recently enacted in Bahrain allows for the formation of protected-cell companies (often called segregated portfolio companies or sub-funds). Both a limited partnership fund and a segregated portfolio fund can be established as a shariah-compliant fund. A protected-cell company is a corporate structure in which a single legal entity is comprised of a core legal entity under which there are several divided cells or portfolios. The protected-cell company allows for each cell to be managed by a single or separate investment manager. As a fund develops, expands and targets under or varying asset classes, new cells can be established, which enables long-term flexibility and provides opportunities for investors to be exposed to new asset classes or sectors at lower costs for the fund promoter or manager. Each cell’s assets can be ring-fenced and are therefore only available, or exposed to, the creditors and shareholders of each particular cell. The development of this law signifies a will to develop the funds industry in Bahrain. As at the end of June 2017, the number of mutual funds stood at 2,623, of which 84 were Bahrain-domiciled, compared with 2,733 funds as at June 2016. The number of shariah-compliant funds stood at 98 as at June 2017. A new trusts law has been introduced in Bahrain, which aims to provide detailed guidance on the creation and administration of financial trusts within the Kingdom. While these are widely used in other jurisdictions, this is a new introduction in the Middle East, and Bahrain is one of the first countries to put in place this type of legal framework. Bahrain currently has no income, corporation (except for oil, gas and petroleum companies that are engaged in exploration, production or refining, regardless of their place of incorporation) or capital gains tax, and no estate duty, inheritance tax or gift tax. However, Islamic finance transactions involving real estate may be subject to taxes. For example, if the legal ownership of the land is transferred or registered, this could result in stamp duty tax. Stamp duty (at the time of writing) is levied up to 1.5 per cent on purchases up to 70,000 Bahraini dinar, 2 per cent for any purchases between 70,000 and 120,000 Bahraini dinar, and 3 per cent above that range. If an Islamic financial transaction involves payments under an ijarah, this will generally not be subject to taxation. In Bahrain, Islamic finance transactions typically involve no actual movement of legal ownership and only the economic or beneficial value or ownership is transferred, which is not subject to any taxes. Under existing Bahraini laws, payments under the bonds, sukuk or notes will not be subject to taxation in Bahrain, no withholding will be required on such payments to any holder of notes, and gains derived from the sale of notes will not be subject to Bahraini income, corporation or capital gains tax. In the event of the imposition of any such withholding, the issuer has undertaken to gross up any payments subject to the withholding. Following an extraordinary meeting of finance ministers in Jeddah in June 2016, the GCC countries approved the introduction of value added tax (VAT) in the GCC. Bahrain signed the GCC Unified VAT and Excise Treaties on 1 February 2017. Accordingly, effective from 1 January 2018, it is anticipated that Bahrain and the other GCC countries will introduce VAT at an expected rate of 5 per cent. Although it is envisaged that there may be delays in the GCC implementation date (for a variety of reasons), there can be no doubt it will, when implemented, herald a significant development in the region from a commercial and legal perspective. The VAT will be broad in its scope and shall apply to all business in Bahrain with only limited exceptions and consumption tax reliefs. The introduction of VAT by GCC governments may be regarded by many as a constructive measure to (1) assist, diversify and strengthen the GCC countries’ respective fiscal revenue streams in an era of falling oil prices; and (2) promote economic stability in the long term. It is important to note in this regard that the International Monetary Fund has previously encouraged GCC countries to introduce VAT. While the full legal framework is yet to be released, it is understood that GCC Member States have adopted a draft VAT framework agreement that will form the basis of the proposed VAT regime. Accordingly, each GCC Member State will have its own domestic VAT legislation, adopting the framework principles. However, VAT is unlikely to affect Islamic financial transactions in Bahrain due to the manner in which they are structured. As with the introduction of taxes in other regions and jurisdictions, it is likely to take some time for businesses and the tax authorities to absorb the changes. It is therefore hoped that the tax authorities will operate with a light touch during the introduction phase. It is also important to note that the proposed VAT will be introduced as part of a GCC-wide customs union. Therefore, it will be vital that the design of both regimes takes the other into account so as to avoid overload and unnecessary complexity for governments and businesses alike. There is no separate insolvency regime for Islamic finance in Bahrain. Bahrain has a dual court system, consisting of civil and shariah courts. Shariah courts deal primarily with personal status matters (such as marriage, divorce and inheritance). Shariah courts of first instance are located in all communities. A single shariah Court of Appeal sits at Manama. Appeals beyond the jurisdiction of the shariah Court of Appeal are taken to the Supreme Court of Appeal, which is part of the civil system. The shariah acts only as a ‘guiding principle’ and as such the terms and conditions of Islamic finance products are determined by national laws. In Bahrain, disputes revolving around Islamic finance contracts and products are heard before the civil courts. Islamic finance is on the rise in Bahrain and internationally. It is estimated by the Islamic Financial Services Board that the volume of Islamic finance deals will reach US$6.5 trillion by 2020. Bahrain is growing in influence as a leading centre of innovation for Islamic finance. A number of amendments were made to the CBB’s codes and rules between 2014 and 2017, with the aim of promoting best practice and on the basis of certain rulings of the primary global committee of banking supervision (the Basel Committee). At present significant moves are being taken to strengthen banks’ capital bases and to promote transparency and better governance. Banks in Bahrain are being encouraged to consider merging to strengthen themselves and compete more effectively. Several Islamic lenders have already merged (for example, the three-way merger of Capivest, Elaf Bank and Capital Management House in 2013) and it is suggested that more mergers are likely to take place. The Basel Committee recommendations made in light of the global financial crisis have led to a number of reforms and initiatives. Banks are now being asked to be more transparent, for example by making more useful data available to stakeholders so that they can make informed choices. These changes have resulted in major reforms. His Excellency Rasheed Mohammed Al Maraj (governor of the CBB) has said that ‘the overall outcome is that Islamic finance is benefiting from these changes. The over-reliance on real estate and infrastructure projects is being systematically replaced with recognition that fixed income assets, which in turn provide identifiable, sustainable profits for the future, are the way forward’. The CBB is working with bodies such as the non-profit International Islamic Finance Market (IIFM) to standardise Islamic banking practices further. One of its recommendations has been to ensure that Treasury product transactions are governed by the International Swaps and Derivatives Association (ISDA/IIFM Tahawwut Master Agreement). This agreement is designed to govern the relationship between the parties in a shariah-compliant hedging transaction. The use of these agreements is not mandatory in Bahrain. The CBB has also urged Islamic banks to have their institutions rated by the Islamic International Rating Agency (IIRA), which has its headquarters in Bahrain. The IIRA ratings inform investors about corporate and shariah governance practices in addition to the financial risk profile of the entity. Recently the CBB has proposed further rules in an attempt by Bahrain to regain prominence in the Islamic finance industry. One such rule would require Islamic banks to be audited externally by shariah experts rather than to self-regulate. Furthermore, banks would be required to disclose any non-permissible income and state how they intend to dispose of assets generated by non-shariah-compliant earnings or acquired through prohibited expenditure. It has been argued that the current approach allows more diversity and flexibility; however, there is growing support in Bahrain for reforms to increase transparency in this field. Bahrain has become a world leader in Islamic finance, accommodating the largest concentration of Islamic financial institutions in the Middle East. At present, there are seven Islamic takaful insurance companies and two retakaful companies operating in Bahrain. The kingdom is a market leader for Islamic securities (sukuk). Finally, Bahrain hosted the 23rd World Islamic Banking Conference in early December 2016, at which more than 1,300 leaders gathered to address economic uncertainties and unlock opportunities in the global Islamic finance industry. The event produced a road map for 2017 and beyond by showcasing new technology and cutting-edge research. 1 Salman Ahmed is a partner, Brian Kelleher is a senior associate, Shah Malik is a solicitor and Sabah Shah is a trainee solicitor at Trowers & Hamlins. 4 In relation to certain mudarabah-, wakalah- or musharakah-based savings accounts and products that are not capital guaranteed, it is possible that a customer may not be guaranteed a return and may even lose its principal. The CBB has strict criteria for offering these types of products, including suitable disclosures (i.e., product summary, risk factors, etc.). The customer must therefore assume complete performance risk, although, in practice, it is unusual for the banks not to provide the anticipated profit and return principal.